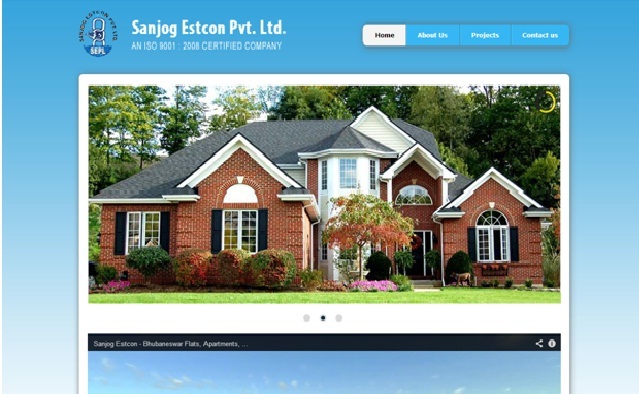 Sanjog Estcon is a professional real estate development company located at the capital city Bhubaneswar, Odisha. This company is committed to provide affordable housing projects in the best locations of the city with affordable prices. This company has a highly experienced team to provide all the legal information’s about projects with 100% customer supports. This company provides best housing lands, simplex, duplex, apartments, shopping complexes, firm houses with immediate registration and possession facilities with easy home loans. This project is located at Deuliapatna, Madanpur, Bhubaneswar, Odisha. This project is near to GITA college, Infocity 2, IIT Arugul, and others reputed institutions. This project has various modern facilities like Parking area, Children’s play ground, Jogging track, A/C community hall, Multi gym, Temple, Swimming pool, and 24 hrs water supply, Security. The price per sqft is 260/- (around $5). This project is going under 20/30 Bhubaneswar master vision plan. This project is located at near CIFA, Uttara, Bhubaneswar, Odisha. This is a highly developed project of this company surrounded with many reputed institutions. This project is a distance of 500 meters from KEC (Krupajal Engineering College), 2 kms from police station, 1 km from Bhubaneswar – Puri Road, and 2 kms from Market complex. This project also provides all modern facilities with easy home loans. The price per sqft is 450/- (around $9). This project is located at Samantarapur, Bhubaneswar, Odisha. This project is near to Baroda Eye Hospital, close to NH. This is a developed project provides immediate registration and instant possession and booking. This project provides all the modern amenities, 24 hrs security, 2 hrs water supply, and easy home loans facilities from reputed banks. The price per sqft is 650/- (around $13). This project is located at Andharua, Near to Institute of Mathematics, Bhubaneswar, Odisha. This is a readymade Gharabari project with immediate registration plan. This project is coming under 20/30 vision plan of the city. The price per sqft is 550/- (around $11). This project is located at Arugul, Bhubaneswar, Odisha. This is a developed project good for investment purpose. This project is surrounded by many reputed engineering institutions and close to Satellite city. The price per sqft is 110/- (around $2).